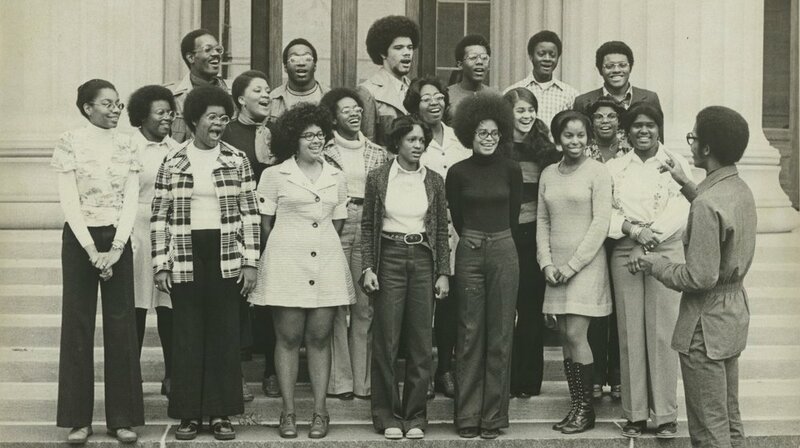 Celebrating the legacy of the BSU at MIT. In honor of the 50th Anniversary of the Black Student Union at MIT, BAMIT is excited to host the “BAMIT Capstone Weekend” on Friday, November 2nd to Sunday, November 4, 2018. Our theme is The Road to 50: The Power of Community. Learn more at the link below about our events! MIT Gospel Choir performs on Killian, November 1974. We are a community that cares about one another. We are mobilizing a passionate community of Black MIT innovators to empower the next generation of diverse leaders and change agents that will transform our world. We invest our time and creativity to empower the Black community at MIT, and foster an inclusive environment for diverse communities around the world. We host enriching events that educate the community on critical issues impacting Black students and alumni, all geared toward promoting positive social change. We build upon a rich history of Black dreamers and innovators at MIT that are not only leaders in STEM, but also advocates for social justice. We are a voice for this generation. We curate a digital publication on Medium to amplify the voice of the Black community at MIT and to empower the next generation of Black leaders, innovators, and dreamers at MIT and beyond. We want to tell your story.